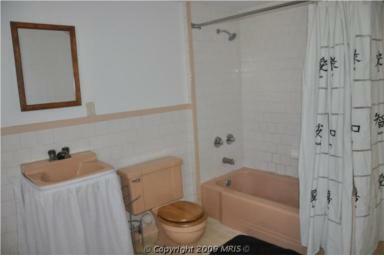 When we first purchased our house, the bathroom was hideous. We planned on upgrading it, but not until we did the other rooms first. It’s very large for a bathroom, but there was just an ugly, inefficient wall mounted sink, a toilet that hardly flushed and there was no storage. But the worst part was the peachy pink everything. 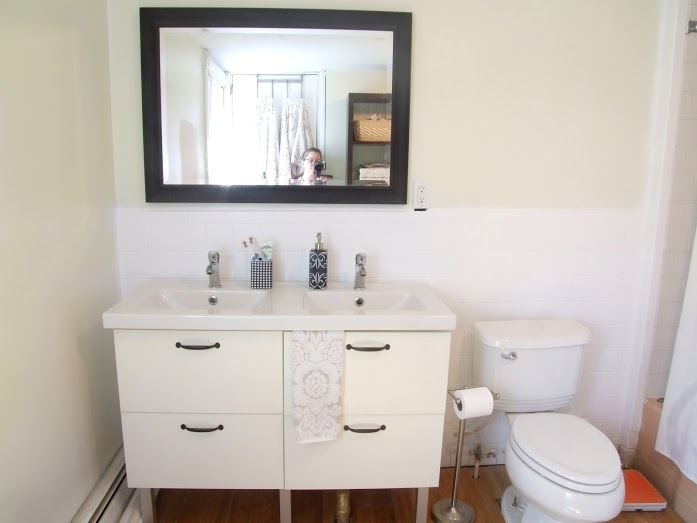 We pulled up the pink linoleum and put down bamboo flooring, then put in a new white toilet and double vanity. We added the large white kick panel to the base to hide the ugly plumbing coming up from the floor. But the sink base always looked like it belonged in a hospital to me, it was so plain and sterile looking. Last week, we removed the panel. See the ugly pipe? So far, the plan is to find a paint color close to the floor and paint it so it’s not so noticeable. I also replaced the drawer pulls for just a few dollars and that has helped the look a lot. 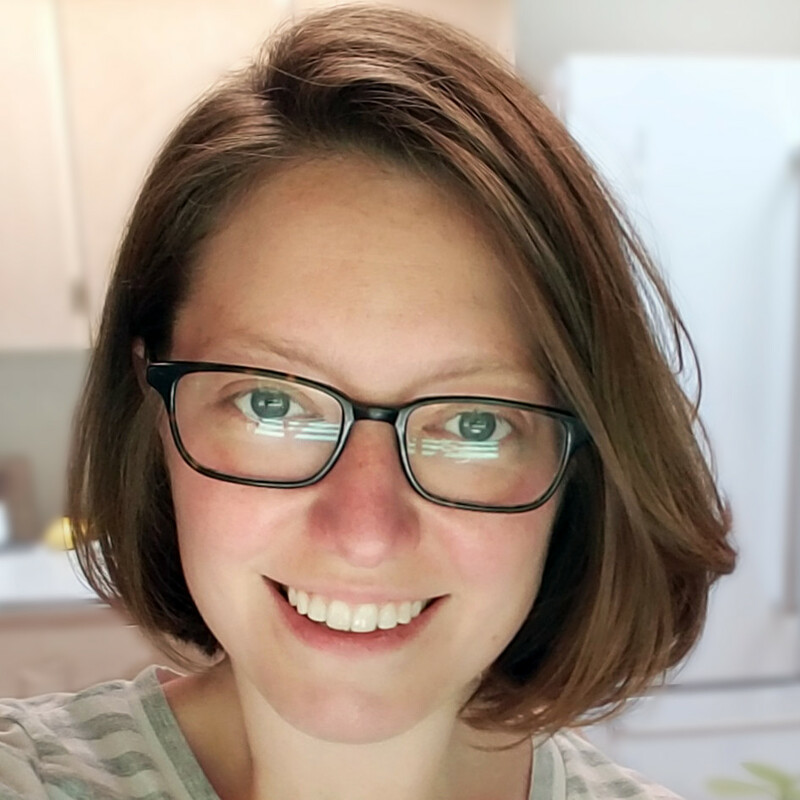 I have more plans for updating the vanity, but this week (and probably next week too) we’ll be installing new ceiling lights, patching the hole in the ceiling, making some vanity lights, painting and putting baseboard back up. Way more cozy than the old new look, it’s amazing what difference handles can make. Your old peach coloured toilet seat and the sink were horrible! but with the new ones even the tile stripe on the top does not seem bad at all. Ps. when I comment I cannot see the two top rows from the comment box. I need to add few empty lines so I see what I write. I use firefox. Oh poo. I tried signing out and leaving a comment so I could see what you’re seeing and fix it, but I saw the whole box. I’ll keep working on it. Can’t get over to WordPress fast enough.